As of 2009, The International Union for the Conservation of Nature had red listed 64 species of sharks as being at risk of becoming extinct. With so many species of sharks at risk of potential extinction, there are plenty of conservation efforts in place. Sharks reproduce late in life and the produce only one pup most of the time. Elements including a lack of food and stress can prevent mating from taking place successfully. Some of the threats to the future for many species of sharks include habitat loss, habitat destruction, pollution, and commercial fishing. The genetic pool for sharks is becoming smaller due to the reduced habitat and that is a concern. When mating isn’t done based on the best selection the poor quality of the offspring can increase the mortality rate. Sharks don’t do well in captivity so that isn’t a viable solution for conservation efforts and to increase population. Most species of sharks suffer from depression or stress in captivity and they will become aggressive and refuse to eat. Even with their natural conditions being highly intimidated, they are susceptible to various types of parasites and viruses when they are in captivity. They often refuse to mate in a captive state as well. Some of the efforts for conservation of sharks include getting the right information out there. Too many people see sharks as aggressive and out to kill humans when that isn’t the case. Sharks are often killed for their fins to create soups and other food items. Trying to get people to stop eating those items can slow down the commercial deaths for many species of sharks. Holistic healing has always been popular, but there are myths out there as well. For example, some cultures promote the use of shark cartilage as a way to prevent arthritis, osteoporosis, and various forms of cancer. Sharks are killed to create such products but there is little research to prove that these elements from them will really help such health concerns. In many locations, it is now illegal for boating or for commercial fishing in an effort to protect the sharks that live in that environment. 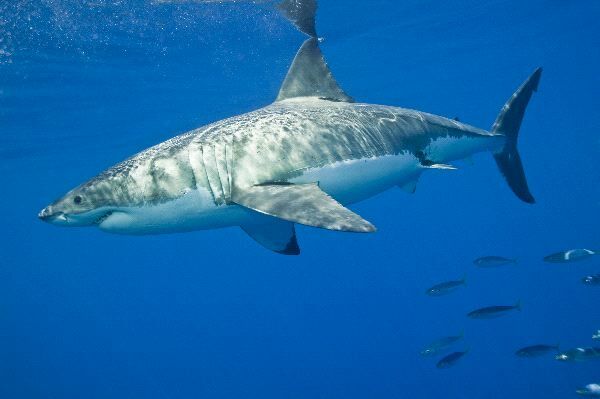 In 1991 South Africa declared the Great White Shark as one that it is illegal to kill. Many other countries have followed but poaching of them continues in many areas still today. In 2000, the USA passed the Shark Finning Prohibition Act. However, it was challenged and in 2008 the Federal Appeals Court found it to be legal for the purchase of shark fins from fishing vessels in the water. In 2010 the Shark Conservation Act was passed by Congress though to once again make this practice against the law. Even with such conservation efforts in place, it is believed that at least 100 million sharks are killed annually. At that rate, it is going to be very difficult to get those on the red list back to a sizable population where they are no longer in danger. Since captivity isn’t a good solution for these creatures it is a very challenging problem. With the volume of people enjoying the same bodies of water increasing, many believe there will be increased numbers of human and shark contacts out there. Ironically, there are only 90 to 100 shark attacks reported annually but not all end in tragedy. Yet the focus on these creatures as deadly animals not worth protecting continues to be hard to shake due to their portrayal in movies and books. Some of the creators of such products including Jaws continue to be part of the conservation efforts in place. They want people to see sharks for what they really are.